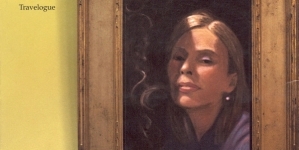 It is cruelly fitting that Joni Mitchell was essentially punished for releasing an album that both exemplifies and thematizes doing things one’s own way. 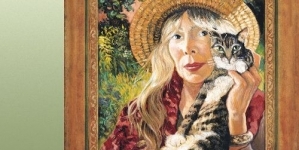 By the time Joni Mitchell got to The Hissing of Summer Lawns, she had put out six studio albums (plus the live album Miles of Aisles) and all had been critically acclaimed. Blue had been hailed as a classic, and Court and Spark, though its arrangements had alienated some, was a huge commercial success. 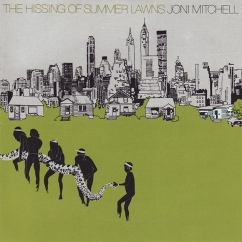 It was then, in some sense, at the height of her powers, that Mitchell tried (with characteristic ambition) to top herself, releasing the unrelentingly challenging album The Hissing of Summer Lawns. 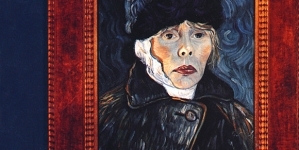 This is a work that draws a line in the sand, daring its listeners to step across it—a challenge that, ultimately, many Joni aficionados have happily accepted. No wonder this album is one that no less than Prince has openly praised. 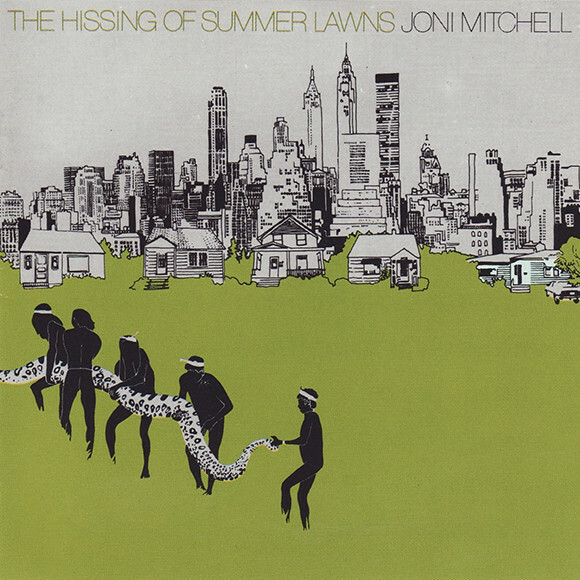 The most obvious thing to say about the album is that it fully embraces some of Joni Mitchell’s jazzier tendencies, which had been suggested on earlier albums, especially Court and Spark. There are also African influences, which, for instance, feature prominently on “The Jungle Line,” a track that pairs Burundi drumming with Moog synth. The result on the latter is something that allows one to draw a clear line from Mitchell to contemporary artists like Bjork and Kanye. 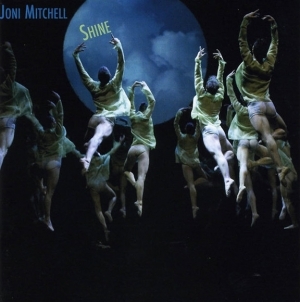 While the jazz-rock arrangements might be said to have aged, the virtuosity of the musicians is on fine display, though they show great restraint throughout, never intruding on the main event: Mitchell’s voice and lyrics. The way the music waxes and wanes in response and sometimes in counterpoint to the emotional trajectory of Mitchell’s songs shows definitively that she is up there with Stevie Wonder in terms of the most accomplished pop arrangers of the ‘70s. Even on songs that don’t present vignettes as concrete as these, it is clear that the same sets of preoccupations haunt Mitchell, with respect to herself as well as the women whose alternate lives she imagines: freedom, creative expression, possibility and all the ways in which these can be and are stifled in a largely male-dominated world (perhaps nowhere more than on the biting, intense “Don’t Interrupt the Sorrow”). As always, memorable lines abound throughout, and Mitchell’s ability to conjure a character’s whole life with just a few strokes is unparalleled. Her underrated gift for social critique, too, is evident in menacing lines like the one that opens the title track: “He bought her a diamond for her throat.” On songs like “The Boho Dance,” she shows that she is not afraid of turning her critical eye toward herself, extending a line of self-questioning about artistic integrity that, in one form or another, has always coursed through her work. 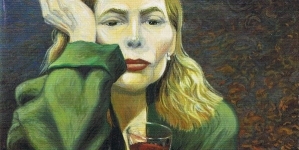 It is cruelly fitting that Joni Mitchell was essentially punished for releasing an album that both exemplifies and thematizes doing things one’s own way. Thankfully for her and for us, this reaction didn’t seem to sway her. There was plenty more defiance to come. A memorable adieu from one of American music’s giants.